The MSE Equity Price Index moved higher for the fourth consecutive trading session as it added a further 0.28% to 4,484.643 points. Activity was spread across various equities most of which ended the day in positive territory. Trading volumes improved significantly to almost €1 million largely reflecting heightened activity in Farsons, MIA and FIMBank. Malta International Airport plc advanced by 0.8% to regain the €6.25 level across 27,300 shares. On Wednesday, MIA published the October 2018 traffic results revealing an 8.4% increase in passenger movements to 646,559 movements – a new record for the month of October. During the 10 months up to October 2018, more than 5.9 million passengers were welcomed representing a 13.5% increase over the comparable period last year. Also among the large caps, HSBC Bank Malta plc rebounded by 1.7% to the €1.78 level on a single deal of 22,000 shares. Medserv plc climbed 3.9% to the €1.06 level across 80,200 shares. Santumas Shareholdings plc also performed positively on Thursday with a gain of 4.4% to the €1.41 level, albeit on trivial volumes. In the property segment, a number of shares closed higher. MIDI plc surged almost 6% to the €0.72 level across 39,800 shares. Malita Investments plc added 3.4% to the €0.91 level on activity totalling 79,406 shares while a single deal of 22,000 shares lifted the equity of Plaza Centres plc 2% higher back to the €1.02 level. Malta Properties Company plc recaptured the €0.54 level (+4.9%) albeit on just 9,500 shares. On the other hand, Tigné’ Mall plc remained at its 2018 low of €0.92 on 50,000 shares. Simonds Farsons Cisk plc retained the €8.10 level on strong volumes totalling 33,500 shares. A single deal of 2,500 shares left the equity of GO plc at the €4.00 level. Meanwhile, RS2 Software plc erased some of Wednesday's strong gains as the equity retreated by 0.8% to the €1.17 level across 13,500 shares. Three deals totalling 200,000 shares forced the equity of FIMBank plc to move 1.3% lower to the $0.79 level. 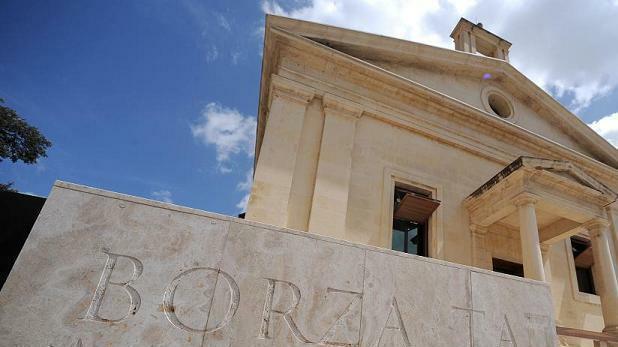 Bank of Valletta plc retracted back to the €1.34 level (-0.7%) across 12,300 shares while International Hotel Investments plc shed 1.6% to the €0.60 level on five deals totalling 57,032 shares. Wednesday's rebound in the RF MGS Index was short-lived as it slumped by 0.23% on Thursday (the sharpest drop in over three weeks) to 1,081.772 points. Malta Government Stock prices dropped sharply as yields in the eurozone surged amid positive sentiment across international equity markets following the conclusion of the US mid-term elections. On the economic front, the European Commission published updated forecasts. These show that the EC is now expecting growth to ease from a 10-year high of 2.4% in 2017 to 2.1% in 2018 before moderating further to 1.9% in 2019 and 1.7% in 2020. With respect to inflation, the EC noted that this is expected to reach 1.8% in 2018 and 2019 but slow to 1.6% in 2020.